Following are a few “leftover” stats from last week’s NFL playoff games. The Pittsburgh Steelers last week became seventh team to lose two playoff games in their history when they scored 30 or more points (the Steelers lost to Jacksonville 45-42 last Sunday). The other teams on this list: Cleveland, Dallas, Green Bay, Kansas City, Miami and New Orleans. The Steelers also have now lost 10 home playoff games in their history (since the start of the Super Bowl era in 1966), most in the NFL. Dallas is second with nine home playoff losses followed by Minnesota and San Francisco with eight. Teams that are scoreless at halftime in a playoff game have not had much success. Teams that are scoreless at half in a playoff game are 17-88 (.162 winning percentage) since 1966. Turnovers are another important part of the NFL’s post-season. Since the 2010 post-season, NFL teams that do not commit a turnover in a playoff game are 29-12 (.707 winning percentage). Teams that have turned the ball over three or more times in a playoff game since 2010 are 5-28 (.152). Tom Brady had another playoff game (in the Pats win over Tennessee) where he had three or more TD passes and more than 300 yards passing. That was the seventh time Brady reached those stats in a playoff game in his career, most in league history. Peyton Manning and Aaron Rodgers have had three or more TD passes and 300 or more yards passing in five different playoff games, tied for second on this list. Jacksonville rookie running back Leonard Fournette had three TDs in his team’s big win over Pittsburgh, making him only the fourth rookie in history to score three or more TDs in a playoff game. The others: Craig Baynham (Dallas, 12-24-1967), William Floyd (San Francisco, 1-7-1995) and Ryan Grant (Green Bay, 1-12-2008). Patriots’ tight end Rob Gronkowski had a TD reception in New England’s win last week over the Titans. That was his 10th playoff TD in his career. Those 10 playoff TDs since 2010 are the most of any player; Gronkowski also became the 18th player in NFL history to score 10 or more TDs in the post-season. Jerry Rice tops the list with 22 playoff TDs. With their 10-3 win over Buffalo in the Wild Card Game and their 45-42 win over Pittsburgh in the divisional round, the Jacksonville Jaguars became the first team in NFL history to win two playoff games in one season…one with 10 or fewer points scored and one with 40 or more points scored. With their game tomorrow against the Jacksonville Jags, the Patriots will have appeared in seven championship games since 2011. They are followed by the San Francisco 49ers with three title game appearances since 2011. The Atlanta Falcons, Baltimore Ravens, Denver Broncos, Green Bay Packers and Seattle Seahawks have each appeared in two conference title games since 2011. Eight teams will have appeared in one conference championship game from 2011-17 (Arizona, Carolina, Indianapolis, Jacksonville, Minnesota, New York Giants, Philadelphia, Pittsburgh). Did you get the San Francisco 49ers right in the answer to the trivia question? The marquee matchup in Week #9 is the Denver Broncos hitting the road for a game with the New England Patriots. It also means the 16th time that future Hall of Famers Tom Brady and Peyton Manning will face each other. Here’s a look at some of the stats from the previous 15 times that Brady and Manning have squared off in an AFC battle. 1. Brady has won 10 of the 15 games against Manning. The Patriots are 7-2 in home games against a Peyton Manning-led team. The last time Manning defeated Brady when New England was hosting the game was November 5, 2006. 2. Manning has attempted more passes than Brady in 12 of the 15 games. The Patriots are 3-0 in the games where Brady attempted more passes than Manning. 3. Talk about symmetry… Brady has attempted 500 passes in his games against Peyton, completing 334 of them for a 66.8 completion percentage. 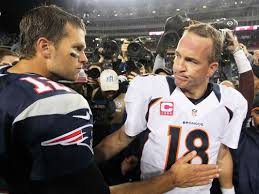 Manning has attempted 600 passes in games versus Brady, completing 376 for a 62.7 completion percentage. 4. New England has scored 20 or more points in 14 of the 15 games played against Peyton. Peyton’s Indianapolis/Denver teams have scored 20 or more in 11 of the 15 games against the Patriots. 5. Brady and the Pats scored 30 or more points in eight of the games against Peyton; Manning’s teams have scored 30-plus in five games against the Pats. 6. Brady completed 60% or more of his passes in 12 of the 15 games; Manning completed 60% or higher of his passes in eight games. 7. In the 15 matchups, Brady has 27 TD passes and 12 interceptions, a 2.25/1 TD pass to interception ratio. Manning has 31 TD passes and 20 interceptions in the 15 games, a 1.55/1 ratio of TD passes to interceptions. 8. Brady had a QB Rating of 100 or higher in seven of the games (the Pats were 5-2 in those games); Manning had a 100 or higher QB Rating in four games (his teams were 2-2 in those games). 9. Brady had a higher QB Rating in 11 of the 15 games versus Peyton. 10. Peyton had more passing yards than Brady in 11 of the 15 games. 11. The Patriots were 6-2 in games where Brady threw two or TD passes in games versus Peyton. Peyton’s teams were 4-5 in games where he threw two or more TD passes against Brady and the Patriots. 12. Of the 15 contests, Brady had two or more interceptions in only three games; Manning had two or more picks in four games. 13. Manning had 300 or more yards passing in eight of the games. Brady had 300-plus yards passing in only three games. 14. Seven of the Brady-Manning matchups took place in November. The Patriots hold a slight 4-3 advantage in those games. 15. Eight of the 15 games played between Brady and Manning were decided by eight points or less. Only two games in the series were decided by 20 points or more; those were blowout wins by the Patriots in 2001. 16. Brady has had only one game of the 15 where his QB Rating for the game was under 70. Peyton had three games with a QB Rating under 70. 17. 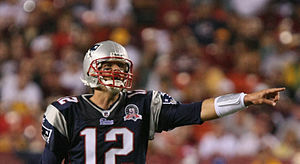 In the 10 Patriots wins, Brady has had 19 TD passes and six interceptions. 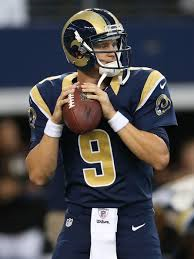 In the five losses he has had eight TD passes and six interceptions. Manning has had 12 TD passes and five interceptions in the five wins over New England. He has had 19 TD passes and 15 interceptions in the 10 losses. 18. Brady is 8-3 versus Peyton in the regular season with New England winning the last three. The two have split four playoff games with Peyton’s teams winning the last two post-season contests. 19. The game this Sunday is being played in New England. Brady has an 87-14 record at home and a 97.3 QB Rating in home games. Manning is 78-44 in road games in his career with a 94.5 QB Rating in away games (6.7 below his QBR at home). 20. Brady has a QB Rating of 99.8 in November games in his career, the highest of any month during the season. Manning has a QB Rating of 90.9 in November games. That is the lowest month (other than his 83.5 QBR in January games) in his career. Last week Green Bay Packers signal-caller Aaron Rodgers and St. Louis Rams QB Austin Davis each completed over 85% of their passes in a game. Rodgers was 19 of 22 (86.4 completion rate) in Green Bay’s win over Carolina, while Davis was 18 of 21 (85.7 completion rate) in the Rams upset of Seattle. It was only the third time since 1966 that two QBs had a completion rate over 85% in a game (minimum of 20 pass attempts) in the same week. It happened December 27, 2009 when Tom Brady and Drew Brees did it, and it also happened earlier that season when Brett Favre and Kurt Warner did it in games in the same week (September 20). Here’s a look at those 14 QBs with two or more games of completing 85% or more of their passes in a game (minimum of 20 pass attempts). The highest completion percentage since 1966 in a game with a minimum of 20 pass attempts is 92.9% by Brady in a January 12, 2008 playoff game against Jacksonville. Brady completed 26 of 28 passes in that game. It’s interesting to note that of the 62 times since 1966 that a QB had completed 85% or more of his passes in a game (minimum of 20 attempts) that the QB’s team has won 58 of those games. Last QB to lose such a game was Drew Brees on December 27, 2009 when he completed 32 of 37 passes (86.5%) in a 20-17 loss to Tampa Bay. With Chicago’s win over Green Bay last night, Week #9 is in the books for the 2013 season. For some teams, they have already started playing games in the second half of the season. For others, the ninth game of the year (and the start of their second half of the ’13 season) will begin this week. The New England Patriots, led by Bill Belichick and Tom Brady, have been the NFL’s best team this century. One of the reasons for this has been how well the team has played in the second half of the season. Consider this: The Patriots were 27-5 in the second half of the season over the past four years, a .844 winning percentage, also tops in the league. Following is a look at how well each of the teams have played in the second half of the season in the last four years (2009-2012, 32 games). If you want to get into a heated debate, start a discussion about who is the best quarterback in the NFL today. Is it Peyton Manning? Aaron Rodgers? Tom Brady? Drew Brees? How about Russell Wilson, RG III or Andrew Luck? Everyone has their own criteria for determining the best. Let me offer some thoughts for discussion. First, let’s use the Passer Rating as the numerical yardstick. Secondly, let’s look at how well QBs perform in each quarter. Are some QBs better in the first quarter and less effective in the fourth quarter. Following is a breakdown of the QBs with the best Passer Ratings since 2010 in the first, second, third and fourth quarters (minimum of 100 passes attempted in each quarter to qualify for the list). 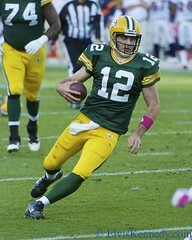 * Rodgers is the only QB who had a 100 or higher rating in each of the four quarters. * Brees and Brady had a 100 Passer Rating in the first, second and third quarters, but not the fourth. * Rodgers, Peyton and Tony Romo were the only QBs to have a 100 Passer Rating in both the third and fourth quarters. Let’s look at the 2013 season. Peyton Manning is having a great season and his Broncos have been an early season favorite to make it to the Super Bowl. Peyton has the highest Passer Rating this season of QBs in the first and fourth quarters. Peyton’s Passer Rating is 128.9 in the first quarter and 124.3 in the fourth quarter. Seattle Russell Wilson has the best second quarter rating at 127.34, and Cam Newton has the best third quarter rating at 139.1. For those Aaron Rodgers fans wondering where Rodgers is at in these 2013 by-quarter Passer Ratings, he is still near the top. 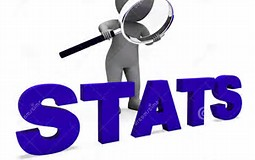 His first quarter rating is 106.7, second quarter 93.3, third quarter 117.2, and fourth quarter 105.1. Rodgers is very consistent in his overall passing performance over the course of a game; but it is interesting to note that he seems to do his best work (statistically) in the third quarter, yet the second quarter is his worst (in terms of Passer Rating) of the four quarters. Theories? I’ll throw one out there: Rodgers and his coach Mike McCarthy may be the best at making adjustments at halftime to what their offense needs to do to be successful in the second half.